Howard Miller floor standing, wrought iron metal wine rack finished in warm gray and offers a removable wooden serving tray in Americana Cherry. 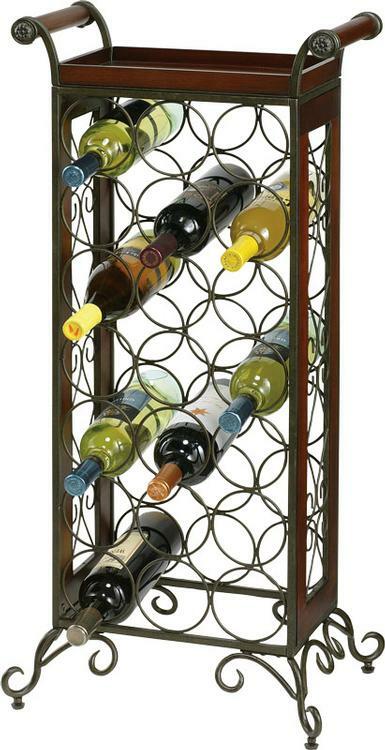 Wine rack holds up to 21 bottles. Adjustable floor levelers. Some assembly required. 36" x 15 1/2" 11"